As many as 1,222 NGOs across the country have been directed by the home ministry to validate the bank accounts in which they receive foreign contribution, failure of which will invite punitive action. Among others, the list includes Sri Ramakrishna Math, Ramakrishna Mission, Indore Cancer Foundation Charitable Trust, Coimbatore Christian Charitable Trust, Delhi School Of Social Work Society, Hindu Anath Ashram and Madani Darut Tarbiyat. In a circular, the ministry said all NGOs registered under the Foreign Contribution Regulation Act should receive foreign donations in a single designated bank account. However, it is seen that a number of such organisations have not validated their foreign contribution designated accounts, causing problems for the banks to comply with the FCRA provisions that they (banks) report to the central government within 48 hours of such receipt or utilisation of foreign contribution, the circular read. These associations are required to validate their foreign designated accounts and also the utilisation accounts immediately and send the details, including the bank branch, code, account number, IFSC etc through FC 6 form which is available on https://fcraonline.nic.in, the circular said. "Non-compliance may lead to penal actions as per FCRA 2010," it said. A few others NGOs named are Rehmat E Alam Hospital Trust Anantanag, Rotary Club of Mumbai Midwest, JK Trust, Bombay, Goonj, Madina Education and Charitable Society, Nagaland Bible College, Indian Institute for Nature and Environment Study. 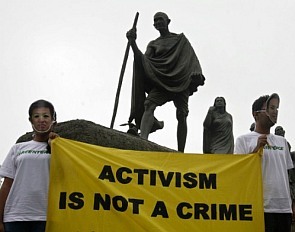 The Modi government, which has tightened the rules for NGOs, has already cancelled registration of more than 10,000 non-governmental organisations in the last three years for alleged non-filing of annual returns as mandated in the FCRA. In addition, renewals of more than 1,300 NGOs have been denied or they were closed in recent past for allegedly violating various provisions of the FCRA. The home ministry has also asked nearly 6,000 NGOs to open their accounts in banks having core banking facilities and furnish details for real-time access to security agencies in case of any discrepancy. The move was initiated after it was detected that many NGOs have their bank accounts in cooperative banks or state government-owned apex banks or banks which do not have core banking facilities. In November, 2016, the government had directed more than 11,000 NGOs to file applications for renewal of registration by February 28, 2017. Of the above, 3,500 NGOs have filed applications for renewal and hence the registration of more than 7,000 NGOs were deemed expired due to non-filing of renewal applications. Currently around 22,000 FCRA registered NGOs are operating in the country. How can NGOs work in Modi's India?